Negative campaigning has a long and inglorious history. Early American electioneers took advantage of the lack of rolling news channels by riding from town to town, scattering scurrilous leaflets to spread the rumour that their opponent had died on the campaign trail. Not quite so dramatically, perhaps, some members of the Green Party have been riding from twitter feed to email list in the last few days, intimating that, since it cannot be guaranteed that the party conference in autumn will ratify a salary for the new leader, Peter Cranie may be forced from the race. I’m a fan of Peter Cranie, and I was disappointed that he didn’t deal more quickly and clearly with this situation. But he has now made very plain that there is no chance of him withdrawing, and yet the rumour continues. 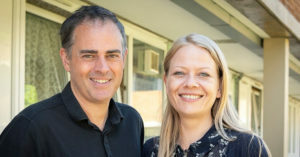 The next leader of the Green Party will be the first not to have a political salary either from the European Parliament or Westminster, and so a motion has been tabled to allow for a salary. Figures being mooted for the salary hover around the national average wage of £26k; £28,000 is perhaps the most robust guess (by way of comparison, the current leader Caroline Lucas’s basic salary as an MP is £65,738). The determination of some to price out of the election candidates who have the audacity to run without the backing of independent wealth ill-serves a party whose future ought to be one of representing ordinary people, abandoned by parties of the rich. 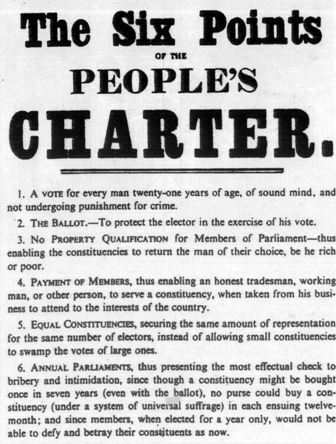 The Chartists could see that in matters of democracy, amateurism was being presented as a virtue when in fact it was a deliberate obstacle used by the rich to help ensure that only they could hold office. A salary sufficient to maintain the MP’s home and his (as it then was) responsibilities to his family was (and is) an absolutely necessary prerequisite to making Parliament accessible to working people. So it is with the Green Party. There is a tension underlying this election which is not as simple as left and right, but is about whether the Green Party is actually committed to widening its appeal and opening its doors to the working-class people it (justifiably) claims its policies would benefit, or whether it is happy remaining a party of white, middle-class bohemians which though politically unsuccessful at least remains a comfortable place for those people to hang out with like-minded souls. Peter Cranie is not only a working-class person himself, who has a young family and no independent means of support and therefore, like almost everyone else, needs a pay packet each month, he is also someone who stands unambiguously for a Green Party of, by and for working people. It is difficult therefore not to see the attempts to financially undercut him as the actions of privileged people, quite probably without any real sense of what exactly they are doing, instinctively (rather than consciously) using their advantage and pulling up the ladder in order to maintain a Party of “their kind of people”. If the Green Party proceeds with an external rhetoric of the left but an internal culture that keeps working-class people out, it will become a Liberal Democrats waiting to happen. Without fully internalising and understanding the experience of inequality, the desperation for jobs, the Kafkaesque benefits system, Greens under pressure (for example in a coalition) will retreat to what seems most real and pressing to them. And without a diverse party, what that will mean will be a zero waste strategy paper launched to great fanfare on the day the last hospital is privatised. If you don’t believe me, you need only look to Ireland, where a Green Party under pressure waved through cuts, privatisations and civil liberties outrages, believing themselves to be doing right by their people because they’d delivered cycle hire and a veg box scheme. The riders of some campaigns in this leadership election carry handbills claiming his working background means Peter Cranie is dead. To borrow the words of Aaron Sorkin, I say: there are worse things in the world than no longer being alive. Agree absolutely with this piece. In thirty plus years of Green party membership I have often felt uncomfortable with the party’s fairly cavalier attitude with money, perhaps based on too many people in the party having comfortable incomes/backgrounds and not being able to recognise how embarrassing it is for those on low incomes. Recognition that volunteers can only do so much without coming face to face with having to earn a living should extend to payment of leaders and spokespeople and if as a party we cant afford it, tough. Then we shouldnt preach at struggling busineses etc about paying their workers decent wages. Glasshouses and stones etc. However much your income, you always find you’re a little bit short… I’ve been living on JSA (supplemented by the odd job) for too long, and manage, just, with a bit of foraging and gardening. If I was a politician I wouldn’t have the joy of spare time for all the things that save money, just those that cost no time. In my view, the ‘average wage’ would be a luxury beyond imagination; I can’t think of that much income without wasting lots, or stashing it away. I think the only way we’re going to get a feel of how much politician needs is to take care of their expenses, so that they’re cared for in post while the party looks after the things that save money and help the environment. A Liberal Democrats in waiting? God no!! Good analysis of a powerful syndicate happy to wallow in perpetual defeat. They prefer a club rather than create a force to reflect the worries and aspirations of millions disenfranchised by mainstream parties. How much can we afford? I’m one of only 1,000 or so members in Scotland; we are independent of the English Greens so will not be contributing, but my political ID is only a small part of my personality, I do have a family and other charitable interests. But anyway, why the heck should I pay for politics, when it is an essential part of democracy? Its high time poitical partis were funded from the public purse, on a pro-rate basis £1 per vote per year, or whatever. Mark, mea culpa – I thought you were continuing in Alex @1 ‘s vein. I think Alex’s position is misguided. I don’t want people to see politics purely as a career and I like the fact that most of the leadership and deputy leadership candidates have life experience outside politics – but if we are going to get people with careers and skills to abandon those (which is a pretty big ask anyway given the vagaries of Green politics) then if we compound the problem by asking them – and their families – to embrace personal poverty then plenty of good people won’t put themselves forward. Jonathan – sorry if I was being ambiguous. I also think that the suggestion that elected Greens take only the portion of the wages equivalent to average wages in their constituency sounds great in theory but is very problematic in practice. I merely wanted to highlight what this would mean for Scottish Greens. The equivalent policy in the SSP caused some real difficulties for people like Rosemary Byrne, who, I understand, took a substantial pay cut when she unexpected became an MSP for South Scotland in 2003. She had previously been a principal teacher and therefore had been paid rather more than the SSP’s ‘workers wage’. Im totally with Jonathan Kent on this, I want a leader who is paid enough to be able to focus on the huge huge job in hand, to not have to worry about money and paying their bills. I dont want the Green Party who stand for fairness/equality to exclude those who dont have other income, whatever it is, from standing as its leader. That would be bonkers and am fairly bewildered that some seem to be thinking the leader needs to live in a cardboard box to prove their credentials. Ok, am hyping it, but to me that seems to be the conclusion of some peoples arguments. why would you pay an MP working long hours in London the same as someone living in Scotland on a standard working week? Would you accept someone in Scotland doing extra hours unpaid or would you want the to get overtime? The average London weekly wage is £650 (ONS) or £33,800 p.a. If an MP does a 60 hour week that’s 25 hours overtime – and time and a half that’s an additional £36,214 and you’ve already reached £70,000 p.a., against MPs current pay of £65,738. A 60 hour week on the £488 you use as a benchmark would work out at £8.13 an hour or less than the £8.30 London living wage supported by the Green Party. The only people who really want us to have underpaid, under resourced under qualified MPs are the people they are supposed to scrutinise. I really think you should do the maths before you post that sort of comparison. This is indeed a basic issue, not only of pragmatism but of justice. If you wanted elected Greens to take a ‘workers wage’, the average wage in Scotland is £488 per week, or £25,376 per annum. For comparison, an Edinburgh University Students Association sabbatical officer earns £22,000. MPs take a wage equal to the UK average? Personally I don’t want an average MP – I want a good MP. I don’t want an MP who needs to have private wealth in order to be able to afford to represent people. I want an MP with experience and if I’m going to peg their salary to an average I’d expect it to reflect experience and qualifications – just like with any other profession. If my MP puts in a 60 hour week I wouldn’t want to be a hypocrite and suggest paying them for a 35 hour week when I wouldn’t stand for workers in other sectors being asked to work an extra 25 hours a week unpaid. I’d want them to get overtime at time and a half and more if they work unsocial hours just like any other worker. If they work in London I’d expect them to recieve London weighting. I want the best MP possible because they scrutinise billions of pounds of spending annually paid for by our taxes. I expect to pay a lawyer or an accountant or a joiner properly for their expertise as a matter of basic respect and because I value democracy I want to pay my elected representative fairly. I don’t want MPs to be even more vulnerable to the temptations offered by multinationals. I don’t want to be a mug who buys an idea from the right wing press aimed at undermining our faith in democratic institutions because if power doesn’t rest with people elected by and answerable to us it’ll find its way into the hands of the unelected who are not answerable to us. I want to pay my MP fairly because I believe in a society that links reward to effort – because if we allow that link to be further broken we get even more super rich people making a fortune for relatively little effort. I hope we don’t adopt ill thought out ideas borrowed from the right wing press unthinkingly. Scottish Green MSPs are required to give 20% of their salary (which is less than that of an MP) to the party though in practice, every Green MSP has given far more. I’m not sure if anythign similar exists within GPEW? An interesting comparison is that of the Scottish Socialists whose 6 MSPs only took the average workers wage and gave the rest to ‘advancing the cause of socialism’ (we’re guessing it all went to the SSP). What resulted was the SSP MSPs coming at the top of the parliamentary expenses table by a fair bit. 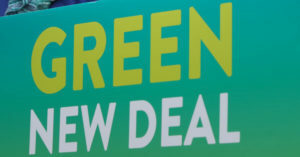 I support the idea of elected Greens taking no more than the average wage and don’t particularly think Greens are as prone to that but its worth bearing in mind that it can be expensive to be an elected member. Interesting I would agree as long as a policy was also passed that all MPs only take a wage equal to that of the UK average and donate the rest back to the party. « Past Occupations: What’s going on with Occupy in the US?